I sit and look back on another year and through all of the good times and bad of 2017, there was always one constant and that was and always has been music. It has always been there for me and the best albums and songs have a moment in time attached to them; a memory, whether good or bad, the song has always conjured up a positive reflection even in the worst of times. Music has the ability to touch the heart, sooth the soul and bring back the happiness which everyone desires in life. Is the album worthy of sitting in my car for weeks on end and does it offer the full gambit of great songs with no filler. There are plenty of great songs, but is the full album built around one song or is the album full of tracks where I have a different favorite every time that I listen. Is there a song on the album that touches me. I love memorable songs with tons of feeling and I love a song that I can connect with. With the criteria set and my ears softened up for a years worth of great music, here are the albums and songs that were my “Best Of” for the year 2017. I don’t have these in any particular order as I consider all of these fantastic pieces of art. Having been a fan of every member of this band and their previous bands since I was cutting my “Metal” teeth, (Frontline, Bonfire, Jaded Heart, Mad Max) are the Pinnacle of German melodic hard rock and these guys collaborating on a project was about as close to a guarantee as the sun rising in the East. Claus Lessman, Robby Boebel, Michael Voss and Axel Kruse delivered a monster debut with the first Phantom album, but the bar was set even higher with “Play II Win.” Melodic Hard rock the way I like it, tremendously well written songs, mega hooks, tons of melody and a booming drum sound all equal an instant classic. There is never a compromise here and there is not even a semblance of a filler track. I had the opportunity to interview Claus Lessman and my now good friend Axel Kruse and these guys are the “Real Deal.” Some of my best interviews with 2 of the most sincere musicians I have ever had the pleasure of speaking with. If you are a fan of Melodic Hard Rock, I highly recommend Phantom 5 or anything that these guys do. For me this one was another no brainer. With “Headstrong,” Pink Cream 69 has brought an extremely monster production to their fans. Having been a fan for so long, I really hear the influence of Dennis Ward here on the production end. Ward just has the knack of putting a LIVE sound to an album and he just drives this one straight to the top. I also have to mention David Readman and his performance on this album. Readman delivers his best performance with a passion and a power that just mesmorizes on every track. This album absolutely crushes and I have not stopped listening to it since its release day. 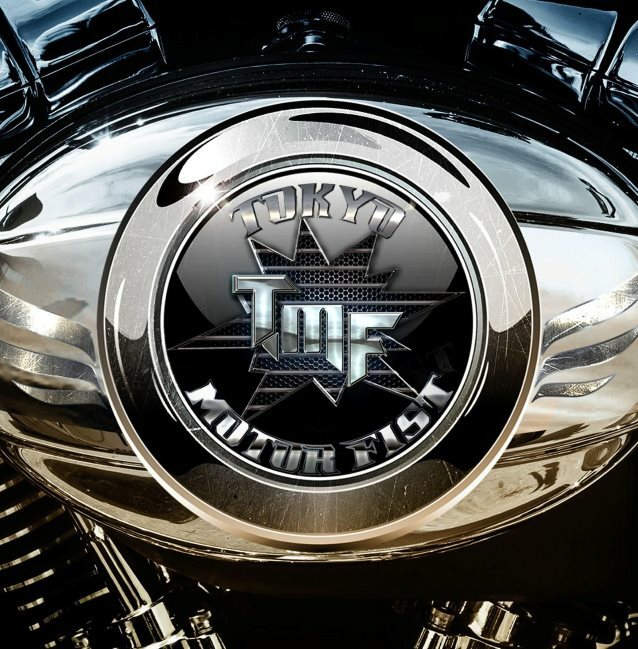 Ted Poley and Steve Brown getting together on a project was a perfect marriage for me as a melodic rock listener. Ted is one of my favorite vocalists as his unique blend of smooth delivery and passion with any style song is definitive. With this album I hear the influences of Trixter and Steve Browns writing and the Danger Danger flair with Poley. Brown continues to release quality in everything that he does and this album is just that. This is a “Feel Good” album that is the Beach Boys meets hard rock, for me. I just feel rejuvinated when I listen to it. Standout on this album, “Love Me Insane” is not only a great song, it is one of my favorite songs of 2017. Browns writing is stronger than ever and he deserves the recognition for his abilities. I really hope that this is not just a one-shot deal. When I first heard this album, I was blown away. I receive the tracks to review, via Haulix and when I saw Kee Marcello and Tommy Heart collaborating, I was all in. Heart delivers a premiere vocal performance here and Marcello’s guitar-work is at its pinnacle. Hearing this reminds me so much of the first Fair Warning album from 1992, but with a much more massive production. Marcello tears it up and I am taken right into how excellent this guy is as a guitarist. This album is full of bombastic hooks and mega guitar riffs that just beg to be cranked to maximum decibel levels. Sweden’s kings of melodic hard rock drop another killer album. These guys are slowly forging their image onto the Mt Rushmore of melodic hard rock. With every album I see growth in songwriting, structure and ability to just overpower with sheer heaviness combined with maximum melody. Erik Martensson is one of the premier songwriters on the scene today and everything that this guy touches turns into melodic rock gold. I first heard Eclipse when I found the “Are You Ready To Rock” cd in the $5.00 used bin at a local cd store and to say that I am a dedicated fan now is an understatement. Another, sometimes forgotten element of this band is the guitar playing of Magnus Henriksson who’s shredding is powerful with tons of feeling. This guy is an incredible musician who’s playing just oozes into the core of every song. Eclipse is everything that you want in a melodic hard rock band and the crazy part of it is that these guys are just hitting their stride; their future is going to be epic. The kings of the Swedish glam rock scene release yet another premiere melodic rock album. This is a band that brings the true style and feel of the 80’s and early 90’s heyday right to the new millenium. If HUGE hooks and MASSIVE choruses are what you look for, than this band is a must. Combining the best of Def Leppard with all of the swag of early Skid Row with Dokken combined, the Lixx boys got it all. When I want to listen to an album at maximum volume while cruising with the windows down, I look no further than Crazy Lixx. Vocalist and songwriter Danny Rexon has the knack for putting together the perfect blend of all of the essential elements and combining them with guts, grit and melody. There is a system here that works and its doesn’t matter what, if I see Crazy Lixx, I’m buying. House of Lords have long been one of the best melodic hard rock bands that combine the traditional style with elements of the mystical that make this band stand out from the rest. With a perfect mix of keyboards, the amazing guitar riffs of Jimi Bell and the powerful and extremely well written lyrics and music of the great James Christian, how could you not love this album. From the first listen, I was taken back to the debut album in 1988. 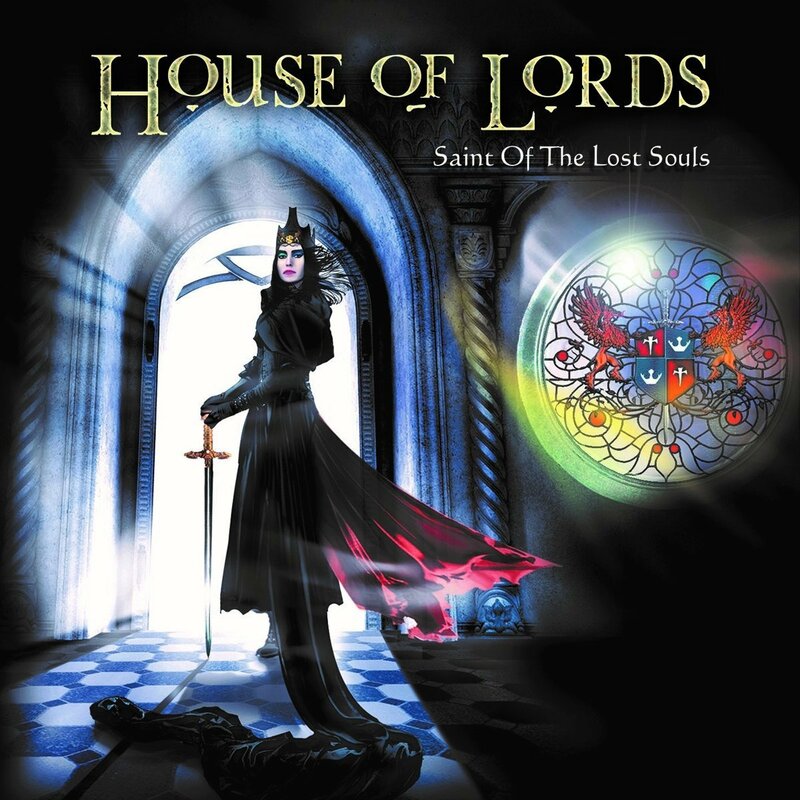 “Saint of the Lost Souls” is quite possibly the best House of Lords album to date and the bands best produced. These guys are incredible musicians and Bell just continues to inject his style into every song to a perfection. I had the chance to chat with Jimi before this album released and I must say, Jimi Bell is one of the nicest guys in the industry. A true pro and a sincere human being. This album deserves the accolades and I highly recommend. With another year of tremendous music coming in 2018, its nice for me to reflect back on the year that was 2017. Being involved on the media side and having the opportunity to interact with these incredible musicians is truly humbling. Everything that we do here at Rock In The FastLane is built around a true passion for the music and the artists that create it. I pay homage to 40 + years of listening to their inner-most feelings brought to life in their music. My appreciation and thanks for their art is Rock In The FastLane. We are honored to say that this is where the legends live and will never die. Keep on Rockin’ in 2018 and support the art of music in its truest form.